Throughout San Luis Obispo County, the local garbage companies are starting to provide a FREE Residential Food Waste Program. If you have any questions call the IWMA at 805-782-8530 or contact your waste collection service provider to get started. Q. What food waste materials are accepted/prohibited? Q. Will my food scraps bin smell? A. Even if you do not collect your food scraps separately, they will still end up in your trashcan. Just take out your food scraps bin as often as you take out your kitchen trash. Q. What about my curbside green waste bin? check out this Organics Made Simple blog post. Store your produce strategically so it stays fresh longer. Get to know your fridge. 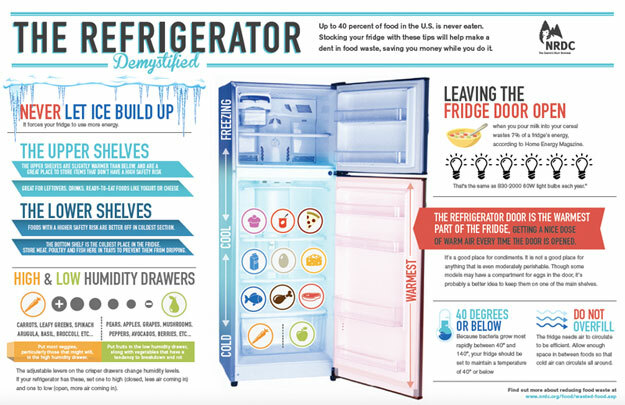 Learn the correct areas to store food with this refrigerator storage infographic (PDF). 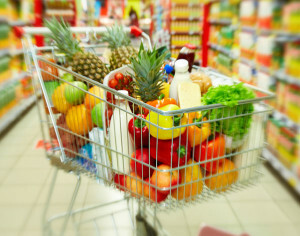 Time what you eat after a shopping trip so you can use the most perishable items first. Find out how much food you waste with this personal food waste quiz. Then follow the guides to take action. Learn how to store and eat food at peak quality with the USDA’s iPhone app Food Keeper, or follow the ultimate shelf life guide to figure out when your food will really go bad. Plan your meals to maximize what you already have and minimize money wasted at the store. Follow these steps to successful meal planning. Create a meal from the random items in your fridge with this tool that finds recipes based on what ingredients you have on hand.